Before we moved to Beale I had found a home school Facebook group for Beale. I joined. It's mostly an online discussion group. One of the members of that group created another Facebook group for school age field trips. We've been averaging about one trip a month. Today we visited the base Weather Station. We were told we could take photos. I had left my camera at home - but I had my phone. This is becoming far too common. I don't have permission to share other kids' photos....so this will be the only photo I post. The briefing was great. I appreciated all the time the Msgt put into preparing for us. It was interesting to see how so much is monitored from this one room. 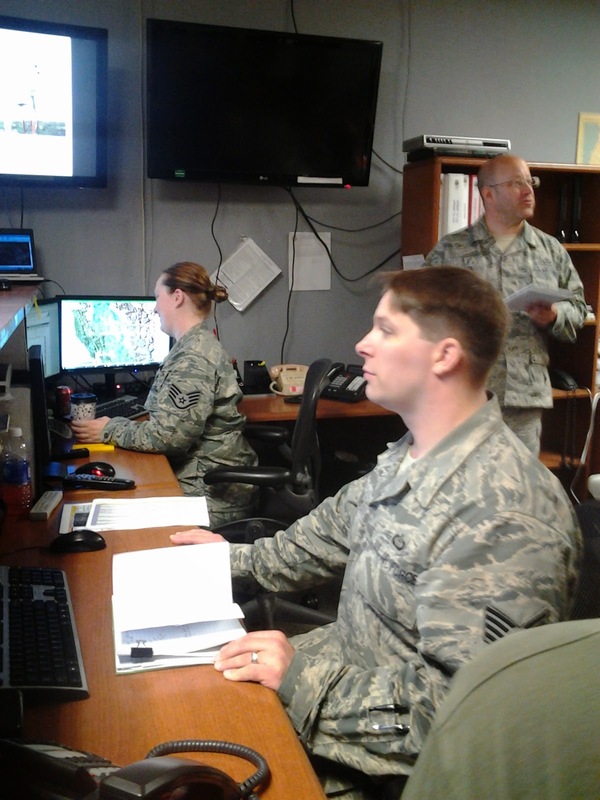 They monitor weather around the world in support of our flying missions. We discovered Stacia can blow 18.2 knots of wind and Alex can blow 14.6....though I'm sure both could do more with a bit of practice. Our plan had been a picnic lunch and outside play after the field trip, but it was raining. We all descended on Burger King and took it over. I met one woman who is new to the area and was homeschooled as a child. She was happy to see all the kids and we had a good chat talking about homeschooling. I ate lunch with a lady I had met today. She was alone and it was good to sit and talk. It turns out they moved here the same time we moved here.....from Japan. They were stationed at Kadena AB and we were at Misawa AB. Our kids have had the same transitions. It was fun to visit. I hope to have many more visits with Katrina. We are both in search of fun parks in the area.....maybe we'll be able to explore together. I was able to meet another Facebook friend face to face today this afternoon. I look forward to more time spent with Britney and her children as well. A quick trip to the commissary rounded out our day. We've settled down for a night of Prince of Egypt - every once in a while we need to watch a Stacia flick.